If you are hoping to increase the traffic directed to your website as well as your positioning in Google’s rankings, putting an effective and well-structured link building campaign together could work wonders for you. 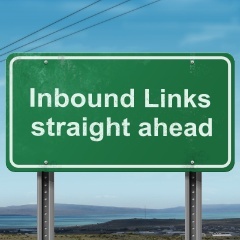 Increased traffic to your website can come from a number of benefits that link building can give you. If your ranking increase in the eyes of search engines such as Google, Yahoo! and Bing, your website will undoubtedly receive more traffic from organic searches (simply clicking through to your page via the hyperlink displayed on a search engine results page or SERPS), alternatively you can hope to see extra visitors landing on your website from the links you have established on other sites. Search engines are now users’ main tool for internet navigation and ranking high for some well-targeted search terms should be your ultimate goal when assembling a link building strategy. After being presented with a list of search engine results, a user is far less likely to pick a result from anything after the first page. This is usually because the search engines algorithms have determined that the websites ranking on page 1 contain the most relevant, quality content. Search engines such as Google determine this largely based on the amount of links your website has collected from other relevant, trustworthy and popular website and this is primarily why we must strive to construct a link building campaign. Filling a site with quality content will always be the key to collecting links from other trustworthy websites. When a site in the same niche as yours links to you they are essentially vouching for you, this tells Google that your website is relevant (as a site in the same niche links to you) and full of content that other sites feel are worth linking to. Construct a quality website that other webmasters would be happy to link to; do not allot to much space for adverts, it looks cheap and gives the impression your making money however possible. Once you are happy with the quality of the content on your website then the time to contact other webmaster for links is upon you. Be sure to source contacts from relevant websites before sending out any emails; links from websites that are not relevant to yours in any way will stand out as unnatural links to search engines and likely be ignored. Many websites will request a reciprocal link in exchange for the one they give you, so think ahead and create a space on your site in which you can place external links to other sites. There is usually a way to gain a link from most websites, learn to scan a site and identify what you can do for them in order to get a followed link to your site.